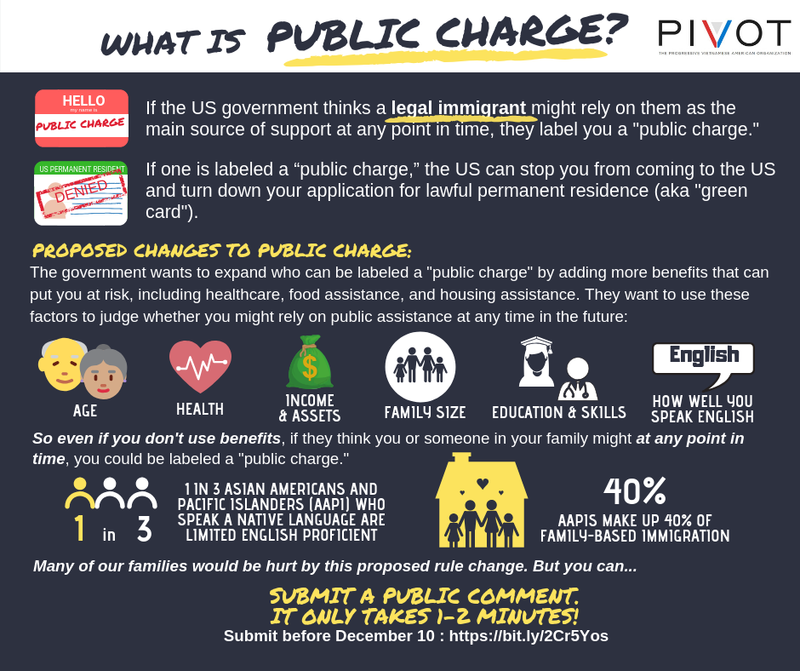 One of our members, Linh Chuong, created these infographics to explain the proposed public charge rule and how important it is for us to all submit our comments to oppose it. Please disseminate. PDF versions are available here and here. Vietnamese PDF version is available here.